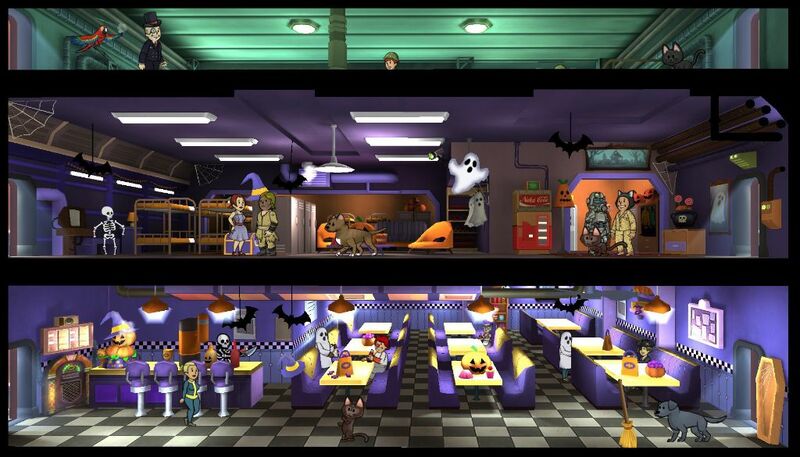 Fallout Shelter Update 1.8 Introduces Vault Themes and Holiday Celebrations! Check Out the Screens Here! 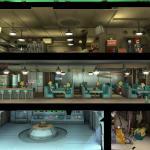 Room Themes: Players can show off their Fallout 4 allegiances by building the new room, the Theme Workshop, which enables the crafting of room themes based on the four Fallout 4 factions – the Minutemen, the Railroad, the Brotherhood of Steel, and the Institute. Crafting recipes for these themes will be found on Quests, and players can turn themes on and off at will. 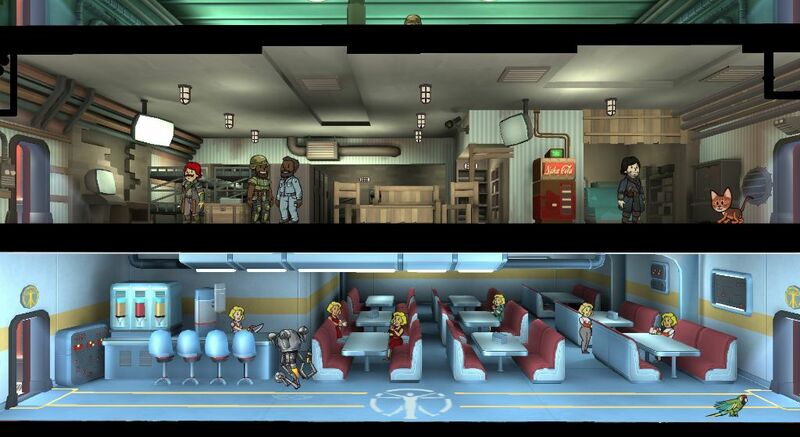 New Quests: Update 1.8 brings a fresh batch of Quests – including upcoming special event Holiday Quests — to keep Dwellers busy finding upgrades and gathering resources from the Wasteland. 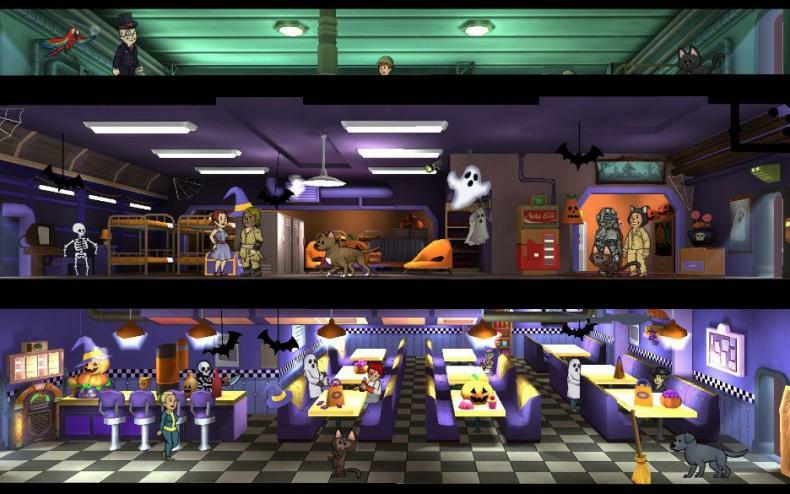 Holiday Festivities Coming to the Vault: For the second year in a row, holiday celebrations will return to the Vault for Halloween, Thanksgiving, and Christmas. 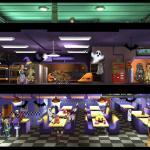 Starting in October, Halloween-themed outfits will appear as Quest rewards and spooky room themes will become available for a limited time. 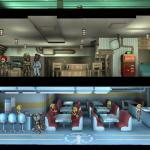 iMessage Stickers: Since their release in September, Fallout Shelter players on iOS10 have been sharing exclusive Fallout Shelter stickers to dress up their messages with friends. Update 1.8 brings a new batch of stickers, including a set of Halloween-themed stickers just in time for the holiday. 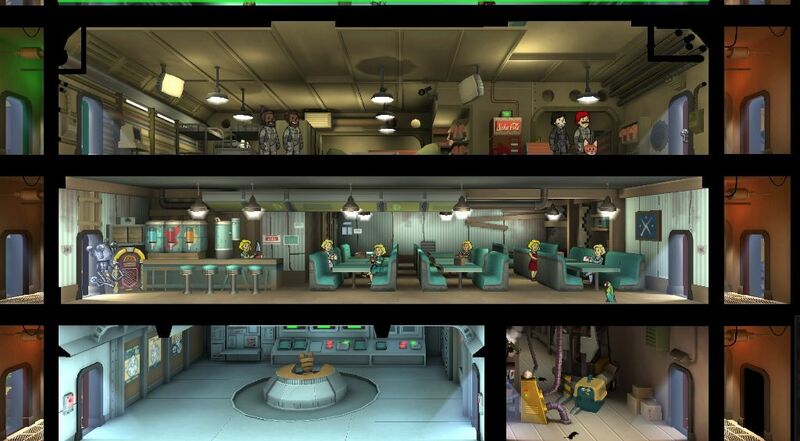 Fallout Shelter is available now. The game is free-to-play for Android, iOS and Windows PC.